Pioneer has been revolutionizing the entertainment industry for over 70 years now. They have many breakthroughs in media storage and audio equipment field, so much so, that every field audio employee is familiar with their name. It’s only natural that they branched out to the headphone domain. The reputation of their headphones is dwarfed by their previous accomplishments, which is why many of us music-maniacs are not aware of them being in the market. With their rich legacy in working with sound, Pioneer has created some smashing products that are way worth their price. Their pioneering efforts have kicked off many changes in the digital entertainment industry and their headphones comply with the same trend. Are Pioneer headphones any good? Most folks at the music community are tricked into falling for some heavily publicized brands all through the time their hearing lasts. The key is to explore your options when you have the money to do so. Audiophile forums also provide you with good insights into brands that are not popular but worth it. Pioneer is one such brand. They have a line-up of hugely underrated headphones that can do wonderful things like variable bass and Bass-exciter. They are also one of the best brands for bass-boosted and DJ headphones. Are Pioneer headphones better than Beats? This competition always creeps in. Since there’s such hue and cry around Beats headphones, every brand is compared to them. But the comparison should always happen between headphones in the same price range and focused on similar audience. In such a case, Pioneer would definitely have some edge over Beats. Because Pioneer knows how to control the unrelenting beast that enhanced bass can be. They never let their bass distort the audio or invade the mids. This way Pioneer ends up with cleaner audio signature than the Beats. Beats has only come to learn this trick recently with their Studio wireless headphones. Which are the best Pioneer headphones? Audio: Audio is the biggest deal while comparing headphones. The best headphones listed here aren’t picked based on which ones are the most bassy or most natural. They are selected based on whether they satisfy their intended audience. The DJ headphones amongst these have punchy bass. The high-end headphones have natural response with more details and so on and so forth. Build: The best Pioneer headphones have some of the most stylish appearances, especially the IEMs. They can give their fairer brothers from Beats and Sennheiser a run for their money in this department. Full-sized DJ cans from Pioneer are also crafted in superior metals and clash in class with V-Moda. 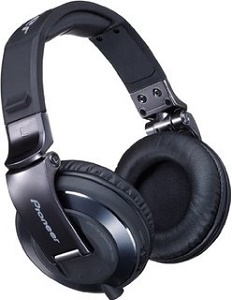 Cost: Pioneer headphones are much more reasonably priced than the well-known brands. The best Pioneer cans let their audio sing the tale of their worth rather than their price. Features: Some of the best Pioneer headphones have mindblowing features like two different set of drivers, bass dial, vibration element etc.. You feel like paying up just to experience these curios first hand. DJ monitoring has never been as much fun as with the Pioneer Pro HDJ-2000MK2 DJ headphones. These sassy cans will give you a turn and release the dance floor mojo. 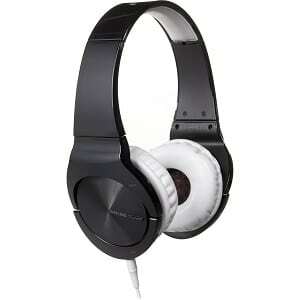 They are successful successors of the Pioneer’s famed DJ headphones, the HDJ-2000 with improved exteriors and audio. They are mainly focused on DJing needs but a casual listener or even a vigorous audiophile with a thing for bass will like them. Pioneer 2000MK2 DJ headphones have the sword hanging over them to bring their A-game to the party. And boy do they live up to that! They have a very punchy and tight bass that rocks with party anthems like G.D.F.R by Flo Rida or Ready For Your Love by Gorgon City ft. MNEK. It thumps hard in the lows, feeling almost like they are spiked in this region. But there is no bleeding of bass into the mids so it’s just the magic of the best Pioneer headphones. The midrange is refined, the details bringing out the natural lean of the audio response. Highs are pretty crisp with treble extending long way into the high end of frequency spectrum. The effective range of 5-30,000 Hz of these Pioneer headphones puts the 20-20,000Hz hearing range of humans bang in the middle of it, granting decent extension on both sides. 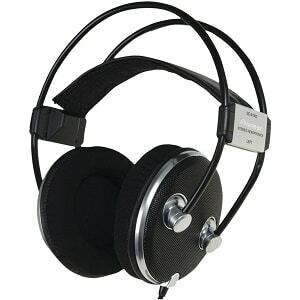 Although built to stand the test of time and bad DJ habits, the Pioneer 2000MK2 DJ headphones look quite sleek. Done up in metal and pleather, these cans have an oblong headband to accommodate bigger domes and weird hairstyles. Circumaural earcups are fixed on revolving hinges. So you can use them for single-sided listening and when you let go of the earcup, it will auto-rotate back to the original position. They are very comfortable to wear and you may end up forgetting you have them on. The cable of these Pioneer headphones is detachable. It connects via a mini XLR jack to the left earcup and terminates in an L-shaped plug. The Pioneer 2000MK2 headphones come with a compact case which has anelastic band on one side to hold these collapsible cans and a mesh pocket on the other side to hold the cable. A threaded studio adapter is also included. Spare detachable cables are hard to find because of the mini XLR connector. Pioneer has always been sympathetic to the needs of bass-heads. They respond so well to this demand because they know how to control their bass even when boosting it. The Pioneer SE-CX8 IEMs are plastic proof of this talent. These earphones, with the bass-exciter feature, sound like their underscoring music is shaking your core. With the best Pioneer headphones, be ready for all kinds of surprises. Pioneer CX8 earphones are focused around bringing the beauty of bass out. The frequency at low-end is definitely spiked to get your groove on. Most importantly, Pioneer introduced the Bass-Exciter feature in these earphones. They send physical vibrations down your ears so that the bass impact is more visceral. The whole experience is that of standing next to a subwoofer. These Pioneer headphones sound like Basshead heaven, no doubt. But this is only because the mids and treble partner that well with the bass. The overall audio is high quality, not tinny or boomy that bass-heavy headphones generally sound like. They are well worth the price you pay for them. 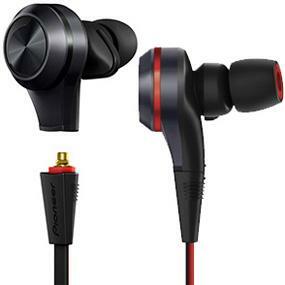 The CX8 headphones by Pioneer feature premium build quality owing to their cost. The earpieces are fashioned out of Aluminum with an out-of-the-box design so that they will fasten securely to your ears. They have the ergonomic off-kilter eartips that sit deep into your ear canal. Bass-exciter element is also lodged inside the ear piece increasing their size some. The cable of these Pioneer earphones is detachable. They connect to the earpieces through an MMCX connecter. These are harder to find and replace but internet has the answer for everything. Shure uses the same connecters so you are likely to find a matching cable through them. The cord is heavy-duty, flat tangle-free cable that feels almost heavier than the ear pieces. These pioneer CX8 headphones come with a zippered carry case and extra stock tips in different sizes. The HDJ-2000MK2 headphones from Pioneer may be acing the market but the real breakthrough in that line came from the HDJ-2000 headphones. Built for DJing with the geared-up audio, these headphones brought the required modicum of comfort and looks you could associate with high-end DJ headphones. Their game-changing sonic response and blueprint caught many a DJ’s eyes. The Pioneer Pro 2000 DJ headphones can get you rocking with their unbeatable bass energy. Thumping low in the sub bass, the meaty bass thunders on through the EDM tracks. But bass bleed is cut short at the transitional mid frequencies, resulting in a clean midrange. Bass is not boisterous enough to cause distortion or steal attention from mids but punchy enough to fit the DJ style. Midrange of these Pioneer headphones lives up to the challenge thrown by bass. It is intricately sewn and pleasantly engaging, especially when you listen to vocals, both female and male. Soundstage has decent depth and width to project the musical experience out of your head and around you. They make a tempting case as the best Pioneer headphones. 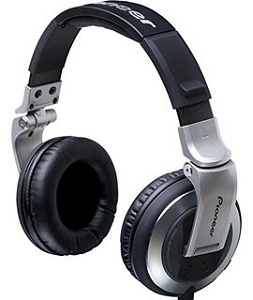 The architecture of the Pioneer HDJ-2000 headphones is very similar to that of 2000MK2. Since this basic DNA worked very well with the former, the latter did not make a change. They sport giant, circular circumaural earpads. Earpieces are attached to hinged arms that can fold or rotate for single-sided listening. Headband is also lavishly cushioned with a gentle material to rest comfortably on your dome. These Pioneer headphones have a Stereo/Mono switch on one earcup which comes in very handy when you are DJ monitoring with one earcup held in place. The cable is a robust, detachable cord with coils to afford it some shock absorbing capability. It fits through a mini-XLR plug, making it proprietary and hard to replace. The Pioneer HDJ-2000 headphones come with a 1.4 studio adapter. Pioneer has made some genius decisions in their audio engineering and the epitome of that is with the Pioneer Steez 808 MJ751 headphones. Featuring two sets of drivers, 30mm one for mids/highs and 40mm for bass, these headphones provide a variable bass option. They are phenomenal in terms of what they are trying to achieve and Pioneer near-about nails it. The Dual-driver technology is not a gimmick with the Steez 808 Pioneer headphones. They work very effectively in creating a heavy-bass yet clean audio response. There’s a dial on the earcups to adjust the bass on these cans. You can set it at any level between 0 and 100 and the sonic response will change accordingly. This is brilliant because you can go from audiophile to casual bass-head in the twist of a dial. With bass tuned on, it reaches deep down in the sub-bass realm and thumps with conviction. Even at the max setting, bass does not encroach on midrange on one of the best pioneer headphones. At medium bass levels, the mids sound smooth and warm. Highs are evened out at this setting. They have the sparkle to them without any sibilance hitting them at high volumes. 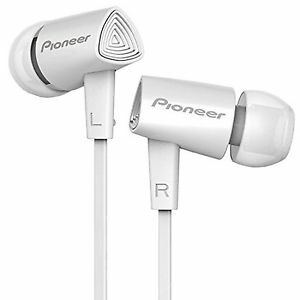 Treble also varies with the bass level in these pioneer headphones. A medium level of bass is bound to give you a good result. Pioneer Steez 808 headphones are made entirely of plastic with no metal reinforcements. Though considering all their perks, this is not too bad for the price. Still, it would nicer if these price possessions could have their Kevlar jacket. Circumaural ear pieces and headband are cushioned with soft padding. Earcups can lean forward to engulf your ears effectively. Left earcup holds the bass dial which is discrete and only identified by a tiny projection. The 48-inch cable of these Pioneer headphones is detachable. The best part is that it connects to the headphones via a 3.5mm jack,making iteasy to find on the market and replace. Not that it would be necessary. The accompanying cable is thickly made and looks ready for regular use. The cord of Pioneer Steez 808 headphones has a remote and Apple-friendlyinline control. It’s difficult to make IEMs sound dynamic, especially at throw away prices, but the Pioneer SE-CL721 earphones have got it all. These little music-machines, meant to satisfy all your bass-er desires, sound amazing for their price. And it’s not just casual listener-amazing. It’s audiophile-amazing, grabbing them a spot on the best Pioneer headphones list. They sound energetic in their rendition of music and make great everyday earphones. The Pioneer Bass Head CL721 headphones are clearly meant to favor bass. However, being true to the sacrosanct pact of pristine music, they don’t overwhelm you with their bass. It is the reined-in variety of punchy bass that will get your mood soaring. None of the bass impact strays into the midrange, as is usual with the low-end headphones these days. When you need to take a break from shockingly bassy headphones but don’t want to lose that bass-edge completely. The CL721s should be your go-to earphones. Midrange is smooth, not heavy on details, but they sound good for the greens you pay for these Pioneer IEMs. Highs are crisp with clean treble. There’s no hint of harshness at high volumes, neither does the enhanced bass distort the audio. Their 9mmm drivers can carve out music in 5-22000Hz range. 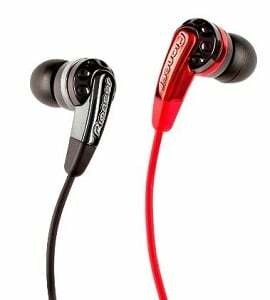 The CL721 earphones from Pioneer use some whacky color combinations like black/red and white/red with one earpiece of either color. They sport normal straight eartips from the driver casing. This house for drivers is slightly bulkier than the Skullcandy Ink’d earphones. The right eartips should give you good isolation from external noises. Cable of these Pioneer IEMs is the tubular kind that may get tangled.It ends in an angled plug.The architecture is fairly abuse-resistant. They will last through the stowing-in-backpack routine and constant rummaging to find them. Pioneer CL721 earphones come with multiple sizes of eartips. Choosing the correct size will ensure secure fitment and can also improve the audio quality substantially. Bass gets its oomph not just from the driver casings but also from the dampening of low frequency ambient noise. Pioneer has been breaking the audio world with their marvels for a long time. So it is no surprise that they could create the CL31 earphones with the sound signature of premium full-blown headphones and charge a measly price in comparison. These absurdly open-sounding earphones have gotten the audiophiles singing because they can’t believe their eyes or ears.One of the best pioneer headphones, these IEMs, are versatile in their audio and treat every genre with love. Pioneer CL31 headphones are also designed for a gargantuan bass impact defying their puny size. They feature that vibration unit just like the CX8 which rumbles in your chest and not just your ears. It’s pure gold for people who seek their treasures in the low end of the frequency spectrum.There’s no quelling the crescendo of music through your core with such a force. The CL31 Pioneer headphones are pretty solid sounding in their entirety. They do justice to mids and treble by controlling the bass from spilling into higher frequencies. That’s a daring feat to achieve at their price. Usually headphones like Beats end up enhancing bass at the cost of letting them ride roughshod over the midrange. But Pioneer is having none of that. Pioneer SE-CL31 headphones are quite stylish for their slender frame. They disguise the added bulk of vibration-unit extremely well in their bigger-than-average driver housing. They use the extra real estate to add classy touches to the design. The color couplings of black/gold and white/gold look exquisite in their décor. The cable of these Pioneer IEMs is asymmetrically-formed i.e. one side of the cable is longer than the other. This means you have to wrap one side of the cable behind the back of your head. This fitment works quite well if you use them and running headphones and you playback device is set in your armband. CL31 Pioneer headphones’ cable is flat and tangle-free. It has an inline mic and a remote that is compatible with Android devices. Pioneer SE-A1000 headphones have given many audiophiles their Eureka moment. They are of the opinion that they have found a hidden gem in this price coordinate. These headphones have garnered all the praise for their natural response with an open and airy stereo image. At their current price, they sure knock the home run to the best Pioneer headphones list. Pioneer A1000 headphones bring you a great sense of space. When you are listening to live music, you can almost feel the sentiment of the crowd right around you. Their neutral sonic response is highly appreciated. Most cans in this price range resort to bass to bring life to the music. Not these Pioneer cans. They have bass with deep pockets that rumble well in the sub-bass region. Bass is clean enough to be slightly underwhelming. Midrange is elaborately carved on the A1000s. They play lithely, jumping from note to note to keep up with any piece of complicated music. Highs are sparkly without getting harsh until you hit the highest volumes. These headphones are impressive in terms of both bass and treble extension. The Pioneer A1000 headphones are open back cans. They have a primitive architecture that is too simple and not all that effective. They use a suspension-type headband that adjusts itself to the size and shape of your noggin. A black grille protects the back of the ear pieces. Quite a few people were left unhappy with the design because these are originally not very comfortable for everyone. However, using Velour replacement earpads seems to have brought them some respite. The cable is permanently attached to the headphones and sports a ridiculous length of around 20 feet. The cable is built robust and will appeal to the couch potatoes who like to watch movies using these Pioneer headphones. The Pioneer A1000 headphones come with a 6.3mm studio adapter.